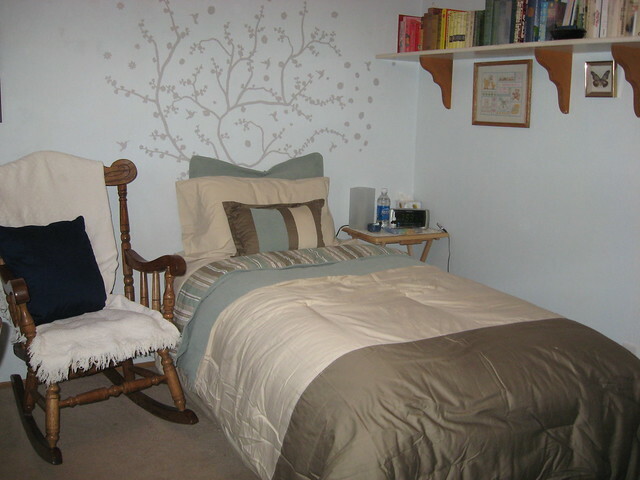 Growing up, my mother and I continually clashed when it came to decorative ideas for my room. She came from my grandma’s old world taste mixed in with some modern day, while my inspiration came from rooms they showed in Cosmo Girl!, Seventeen or Teen magazine. I was very limited with making my space my own so anytime I wanted to rearrange furniture or whatnot, I had to just do it. I usually did this while they were sleeping. As of today, nothing has changed. Ever since I moved out my room has turned into my mother’s storage room gone blue country cottage. 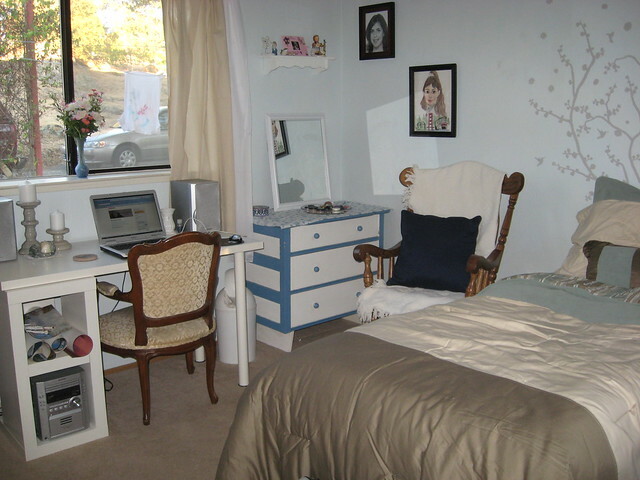 I think one of my sister’s friends put it best when she saw my old room and asked, “Is this your grandma’s room?” It was ugly and always a mess. It has probably played a major factor in why I’ve never visited for more than two days. Plus what baffles me the most is how I could move out leaving this room empty and no more than a month or two later it’s filled with my mom’s random junk. I finally got on her case a few visits ago and was aided by my dad when he didn’t understand why I needed to take all of my old Barbie stuff into my small home so my mother could have more room for her stuff. This past weekend my parents went out of town thus having my sister and I house-sit. 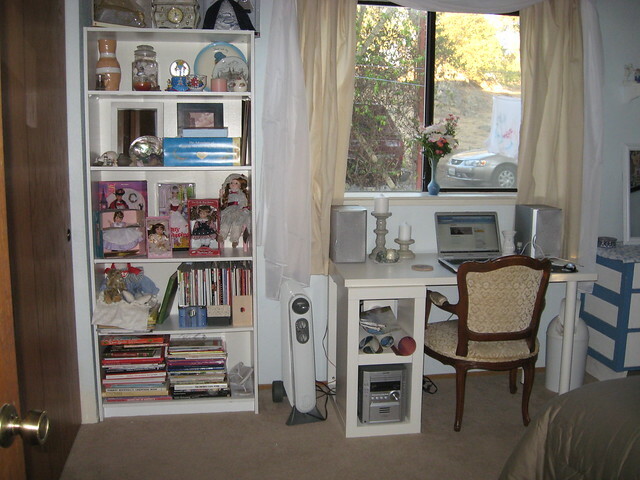 I’ve been planning to make over my old room for awhile so I jumped at doing this while my parents were out of town. Friday evening we ventured to IKEA to get some things and continued the shopping on Saturday en route to my parents house. I prepped the room as soon as we got to my ‘rents house and then we went back out to find bedding and window treatments until 9pm. Sunday morning we were out at 9:30am as we didn’t find any bedding the previous day. By 2pm the entire room was done and all we could do is wait for my parents to come home. My parents were shocked at first, but eventually they eased up a bit. By the end of the day my mom was thanking me for what I did. I tell you, it finally feels nice to be in my old room again!